If you have recently booked using our Golden Age promotion – a 10% discount if one guest is 55 years or older – you will want to know how to spend your holiday in style. In this blog, we share the local delicacies and history of Queluz so that you can make the most of your stay with us. 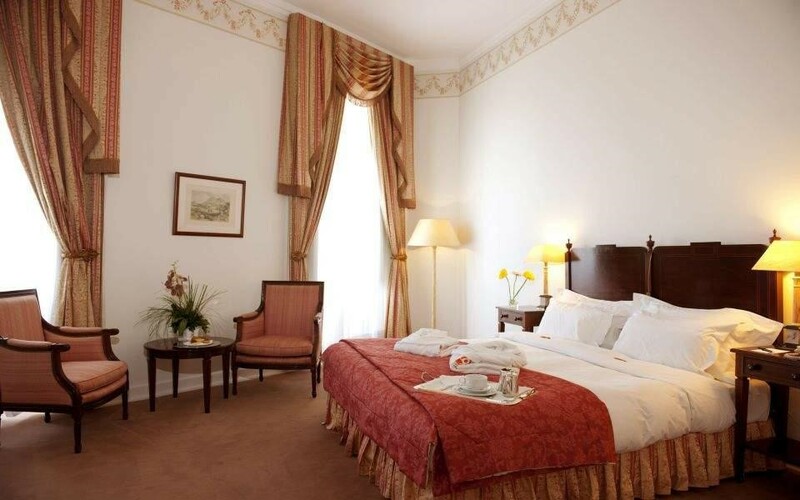 Our hotel could not be better placed for you to enjoy a historical tour of Queluz since it has overlooked the home of the Portuguese royal family, Queluz Palace, since 1794. The Pousada of Queluz used to be called home by the Royal Guards in centuries passed and our renovations have strived to keep as much of the building’s original character. Our exceptional hotel restaurant is even situated in what used to be the Palace kitchens, and we highly recommend dining here for an unforgettable experience. The Pousada of Queluz has many a story to tell, why not add yours to it by staying with us this year? If you find you’ve had your fill of our beautiful hotel, you may wish to venture out to visit the palace – just across the square from your Pousadas. The palace architecture and decoration display leanings towards the baroque, rococo and neoclassicism. Every aspect contains some flourish, from the Mediterranean pillars to the almost excessive gilding. The gardens are an equal show of talent with their perfectly trimmed plants and exquisitely shaped water features. Everything is designed with the intent to impress, and the upkeep of this historic ground is similarly impressive. To continue to provide such a service, there is an entry fee of €8,50 for seniors, or €6,50 during off-peak hours: 15:30 – 18:00. As well as experiencing the palace’s astounding beauty, there is plenty to be learned during your visit to the National Palace, including the incarceration of mad Maria I and the tragic fire of 1934. Many refer to this palace as the Portuguese Versailles due to its splendour. The botanical gardens were sadly destroyed in a flood during 1984 which subsequently removed the once beautiful botanical gardens from their spot as one of Queluz’ ‘must see’ tourist attractions. Since 2012, experts have been striving to return the gardens to their original beauty, and in 2018 the gardens were finally re-opened. If you or your partner would enjoy a little relaxing golf in Queluz, then you have plenty of courses to choose from during your stay. The favourite course in all of Portugal is the Oitavos in Lisbon, but the Penha Longha Atlantico which is slightly closer is also well received. A short distance from the Palace of Queluz is the Museu da Pólvora Negra where you can learn about the history of gunpowder in some 16th century, bright yellow buildings. Alternatively, if you are willing to travel a little further than Queluz, a twenty-minute drive will take you from your hotel Queluz to the doorstep of the Museu de Marinha near the river Tagus. Alternatively, if you can’t get enough of the courtly life, head over to Oeiras where you can find the Palácio do Marquês de Pombal in under twenty minutes driving. And there you have some of the most sophisticated places in Queluz. If you are yet to book your stay with us, please be aware that our Golden Age discount is restricted to a limited number of rooms subject to change during certain periods. Please contact us for more information on where and when this discount currently applies and we will help you to find the Pousadas of Portugal that best suits your requirements. When you are dining from our beautiful palace restaurant or taking in the wonders of the national palace, we know that you’ll be making the most of your holiday in Queluz’ classiest destinations.